← VBS 2015 Registration is Now Open! What is Holy Thursday or Maundy Thursday? Maundy Thursday, also called Holy Thursday, is a service to commemorate Jesus’ Last Supper and the beginning of our sacrament, the Lord’s Supper. The word Maundy comes from the Latin mandatum, which means “commandment.” At the Last Supper, Jesus gave the disciples a new commandment to love one another as he had loved them (John 13:34). 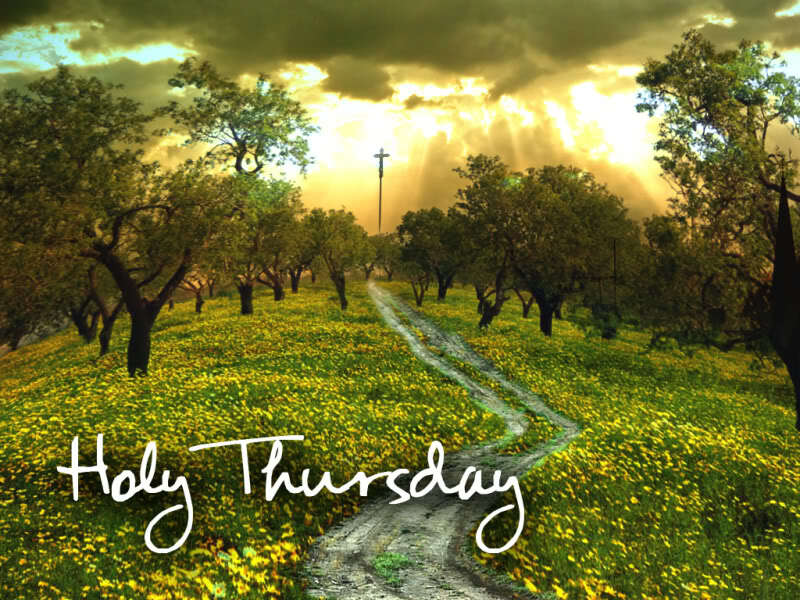 Holy Thursday is the first of the three days of solemn remembrance of the events leading up to and immediately following the crucifixion of Jesus. Prior to breaking the bread with the disciples, Jesus washed their feet. Maundy Thursday worship services include Holy Communion and sometimes foot washing as well. While John’s gospel does not record the institution of the Lord’s Supper among the events of this night, the other gospels do. Christians therefore keep this night with celebrations both at the basin (footwashing) and at the Lord’s Table (Holy Communion).